We discovered that people who work in insurance had lost sight of the “reason why” insurance exists, and how all progress and development would stop without it. 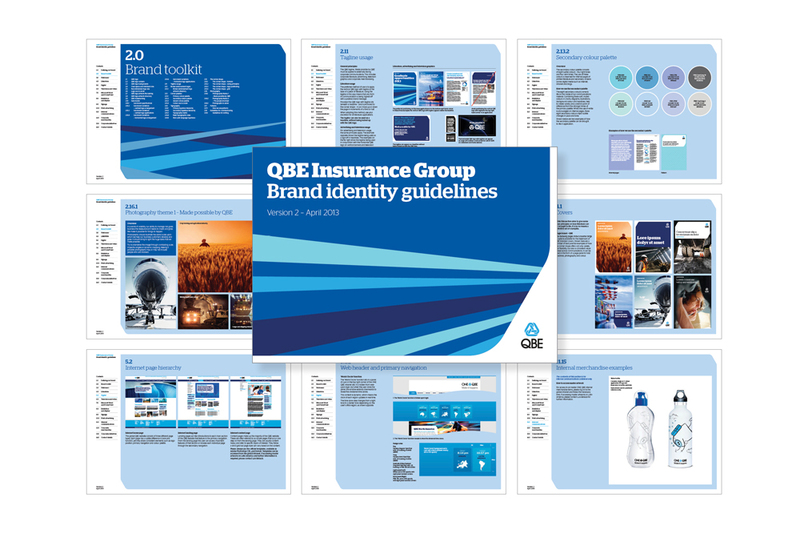 We discovered that QBE had a history of assessing and taking on risk that other insurance companies would not [such as Formula One racing drivers]. 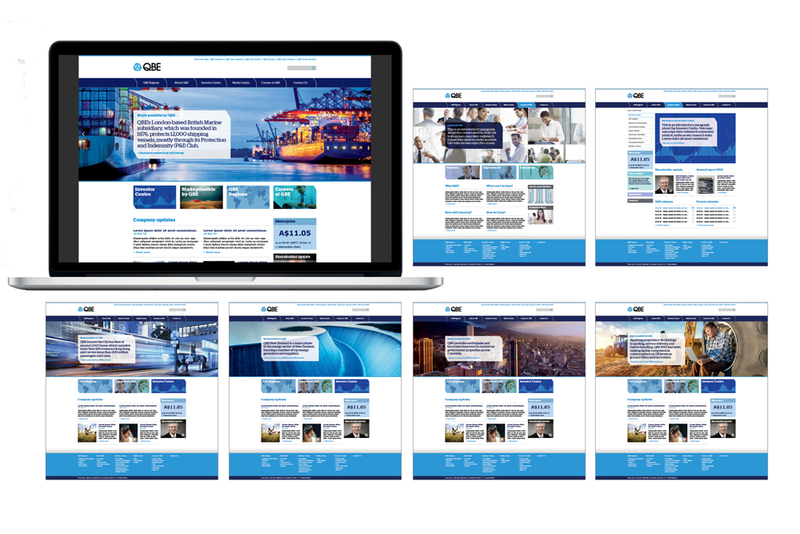 We discovered that QBE was a dynamic organisation of opposing forces – control and autonomy; management and empowerment; risk and reassurance – and that finding the right balance between these opposites sits at the heart of what they do every day. 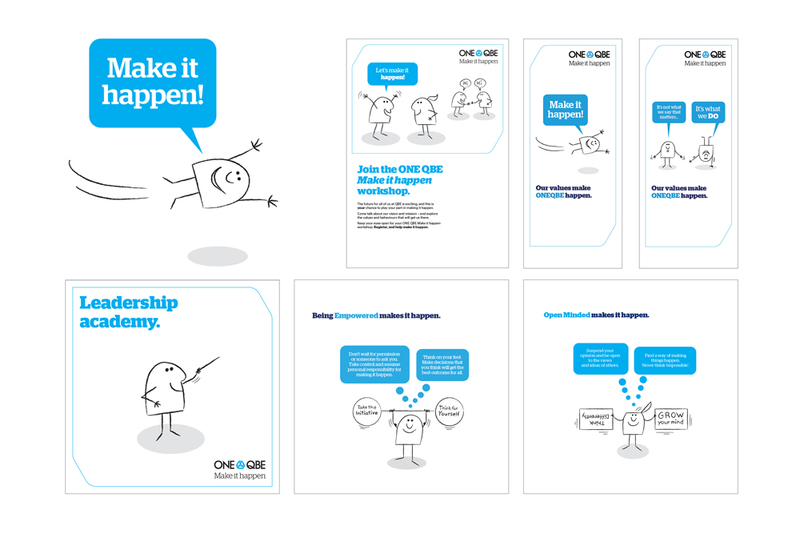 QBE are in the business of making things happen by taking on risk. Their Brand Essence, and internal way of being and acting every day, is “Make it Happen”. 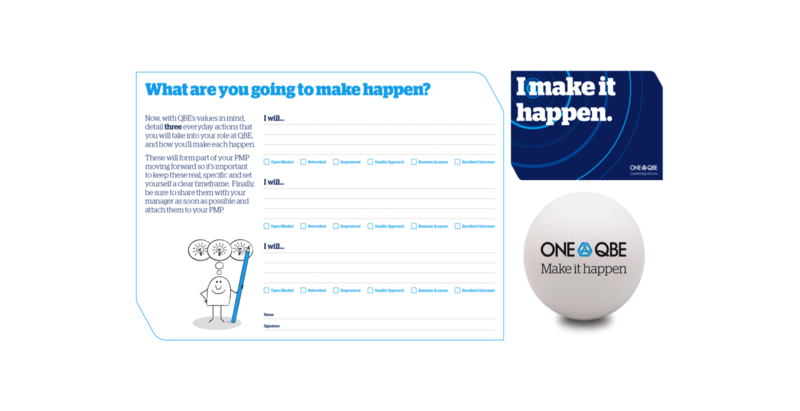 Everything that they do as an organisation, right down to each individual employee, is “Make it Happen”. 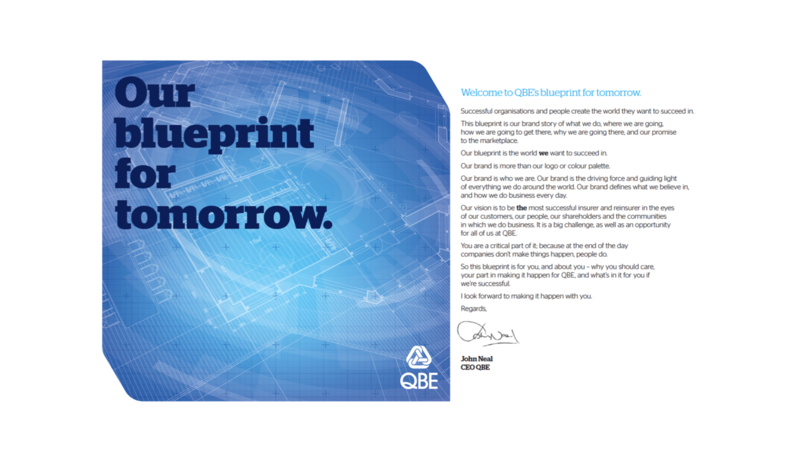 If what QBE does is “Make it Happen”, what QBE says is “Made Possible by QBE”. 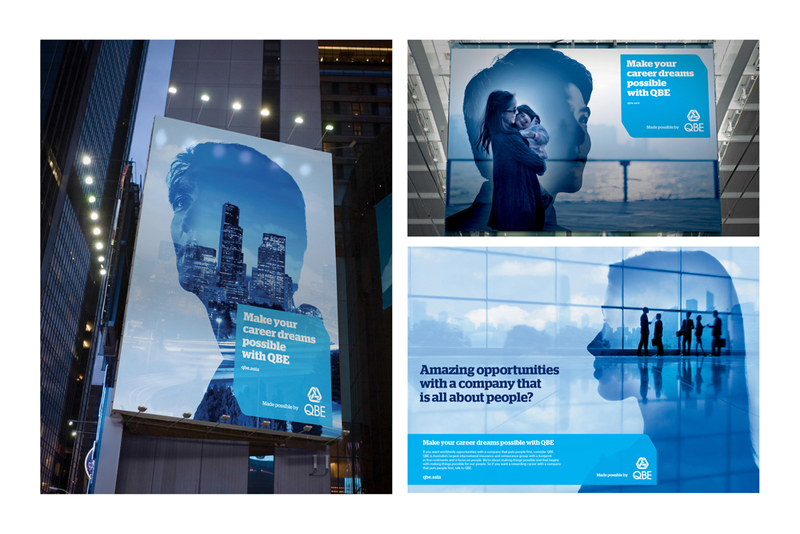 QBE helps companies and people realise their dreams and ambitions by carrying the risk that would otherwise make their endeavours impossible. 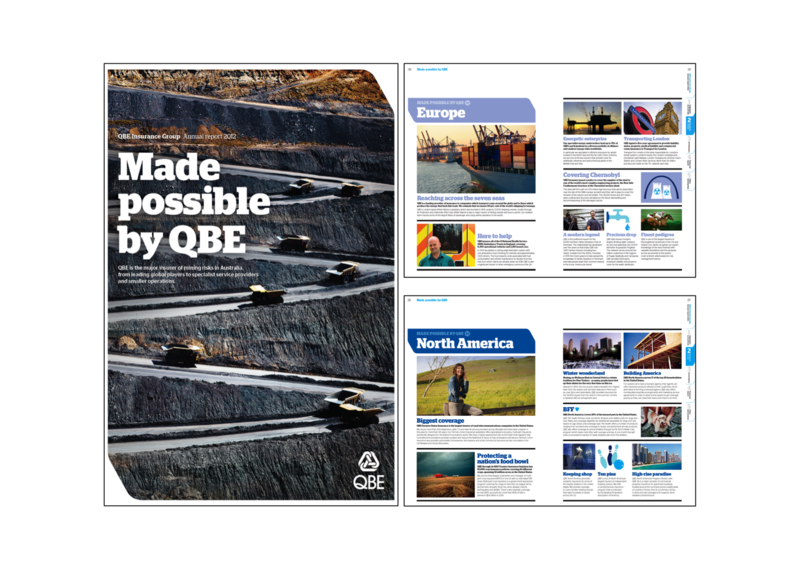 “Made Possible By QBE” is now the global tagline for QBE. 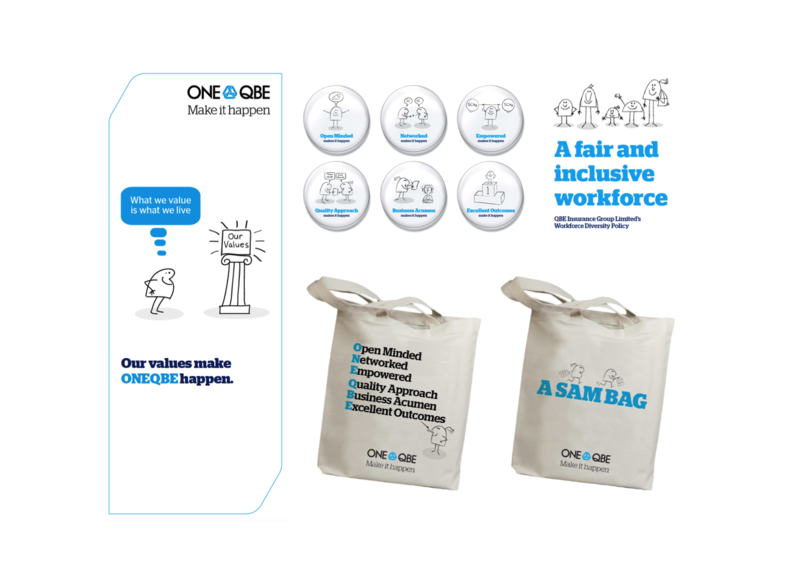 Within 6 months of the launch, 93% of the 16,000 QBE employees had a clear understanding of QBE’s vision, strategic mission, and values. 85% knew what they needed to do to make it happen. 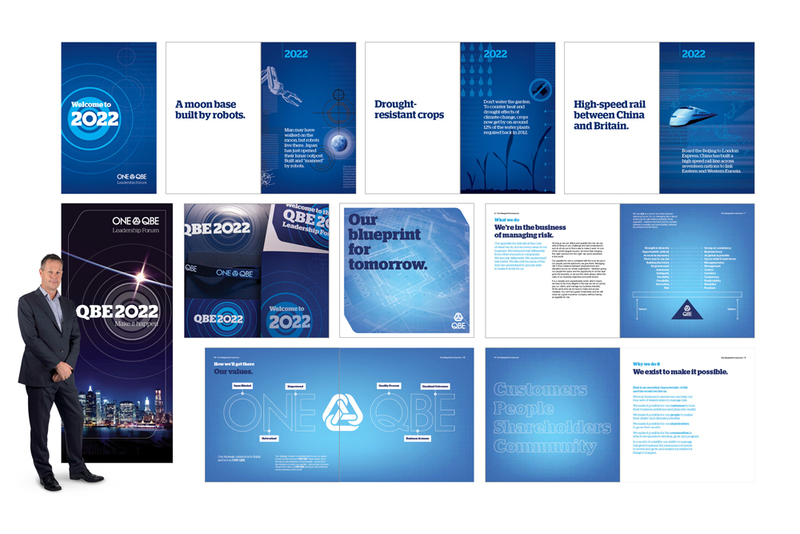 86% were more proud and confident talking about what QBE does, and why they do it.